Shuttle has announced its latest barebones mini PC, the Shuttle XH61 which comes with an LGA1155 socket motherboard which can take Intel’s Core i3, Core i5 and Core i7 processors. 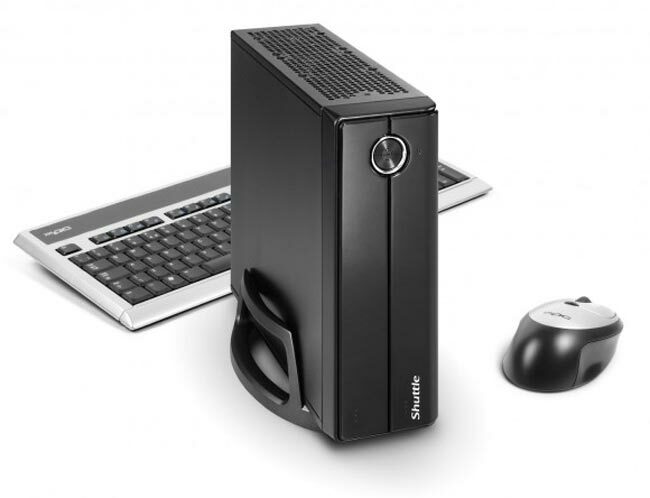 The Shuttle XH61 can also take up to 16GB of DDR3 RAM, and it comes with space for a 2.5 inch SSD or hard drive, plus a slimline DVD or Blu-ray drive. The Shuttle XH61 is available now for $186, although you will need to add in your own processor, memory and storage, you can find out more information over at Shuttle.